This video was completed on January 8, 2010-just 4 days before the Haiti earthquake. The message it contains, however, is still very clear-The RED CROSS IS ALWAYS THERE! 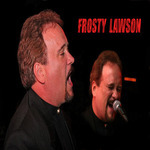 Frosty Lawson-Music & Lyrics/Jack Walsh-Lyrics. Recorded & mixed at Frostbite Productions, Inc. Thanks go to the RED CROSS (Greater Somerset County Chapter, New Jersey) and Blue Moon Productions for granting permission for usage of the photos and video footage, which made this project possible.